Stats: 4.0% ABV. 15 IBU. 15 EBC. OG 1.039. 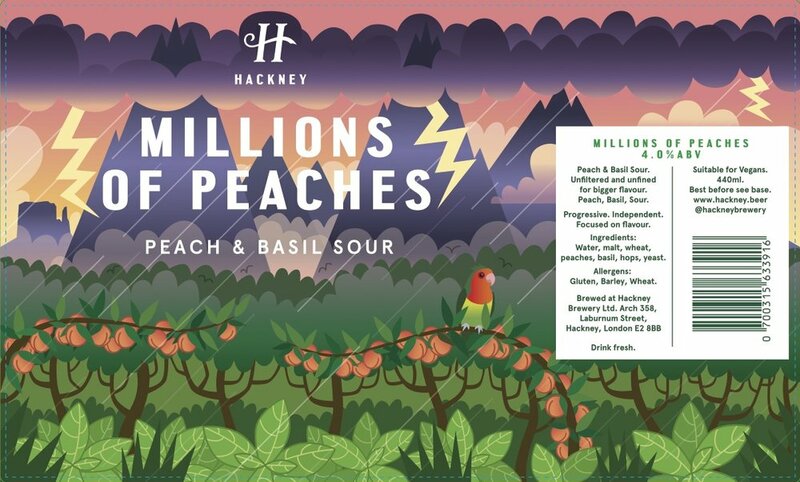 Tasting notes: Peach, Basil, Sour. Back once again with the peach behaviour! We’ve tweaked the design of the can to show our progression over the last year. More peaches, Millions! And still got Lemon Curd the Love Bird, holding a prominent position in our peach jungle. It’s a once a year opportunity to get some! Once it’s gone it’s gone! First pours are at The Rake by Borough Market on Wednesday the 10th April!